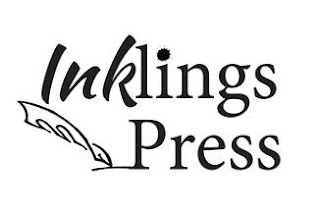 Inklings Press has come a long way in 2016 - just check out our book titles available now - and thoughts have turned to perhaps submitting some of the work that has featured in recent anthologies for awards. But rather than keep the information about awards to ourselves, this blog post is going to be a rolling, updated one detailing awards as we find out about them, the submission details, links and deadlines - because there are lots of great authors out there and it's good to share. If you happen to know of more, give a holler in the comments! EDITOR'S NOTE: We're starting this with just a few to set members of the Inklings and friends rolling - check back for updates. Eligibility: Book published in print or electronic form in 2016. Fee of $99 for one category. Eligibility: various categories, from short story to fan site, novel, fan artist... lots. Eligibility: Various categories, including genre fiction. Printed, bound book must be submitted. Fee of $99 for early bird entry rising to $110. Eligibility: Written in English, targeted at North American market, various categories, published in same year. Deadline: Passed for 2016, not yet announced for 2017 but staggered deadlines from October in 2016. Fees starting at $60 per entry.